I love this time of the year, what is better than a holiday that pretty much can lay claim to several foods. 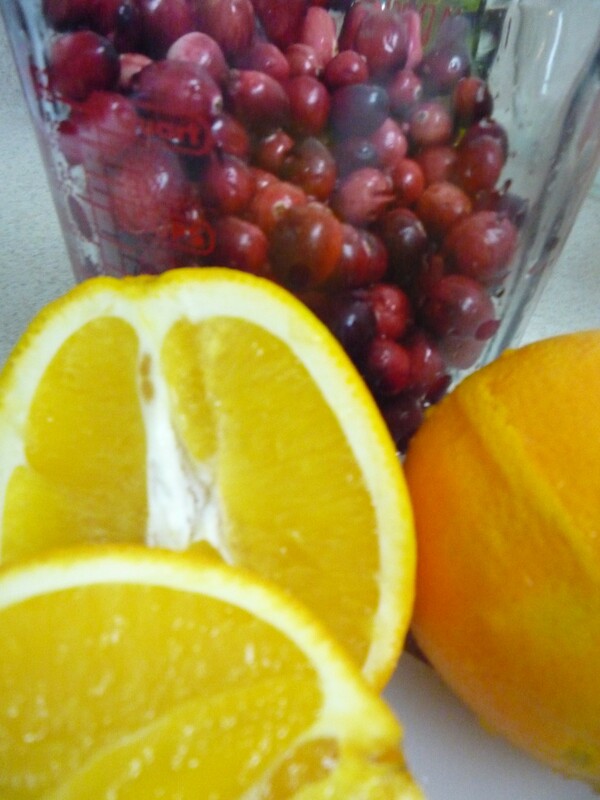 One of my favorite of these exclusive foods is the fabulous cranberry! When I moved to New England 5 years ago, I thought I had waved goodbye to my favorite cranberry concoction, raw cranberry orange relish. But 2 years ago I could take it no more…I would become the bearer of all things cranberry! This year I took it a step further, producing not only the relish, but a whole cranberry sauce and an amazing Cape Code Cranberry Tart that I can thank my friend Robin of www.dovesandfigs.com for! The tart was my biggest success, since you all know that I do NOT bake! You can view the recipe on Robin’s blog, and trust me, if I can do it, ANYone can! 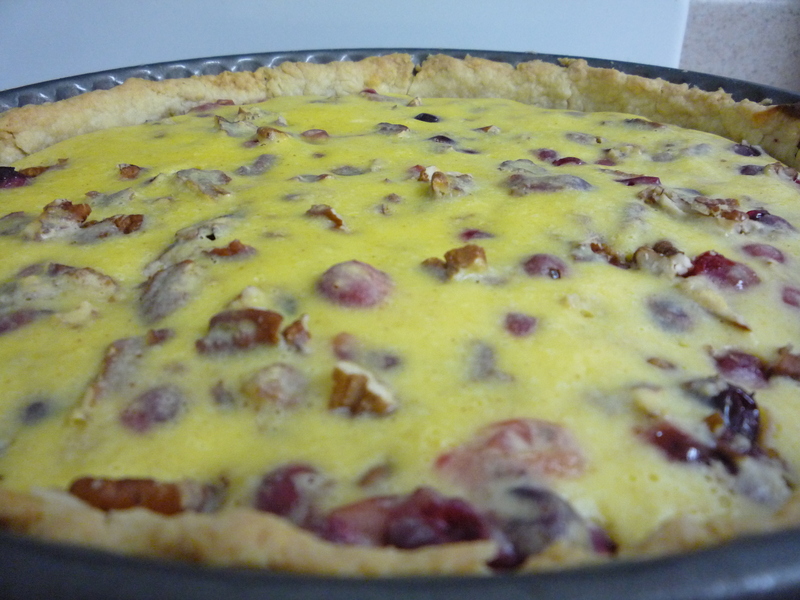 As an added bonus, I made extra candied cranberries from this recipe to put on top of my mini baked bries! Cranberries make me happy, and I think I will have to take this joy with me into other seasons of the year…fall shouldn’t get all the fun! 1.5 Navel oranges (or other de-seeded variety) cut into eighths with the peel still on. – Yes, the peel goes into the relish, trust me! 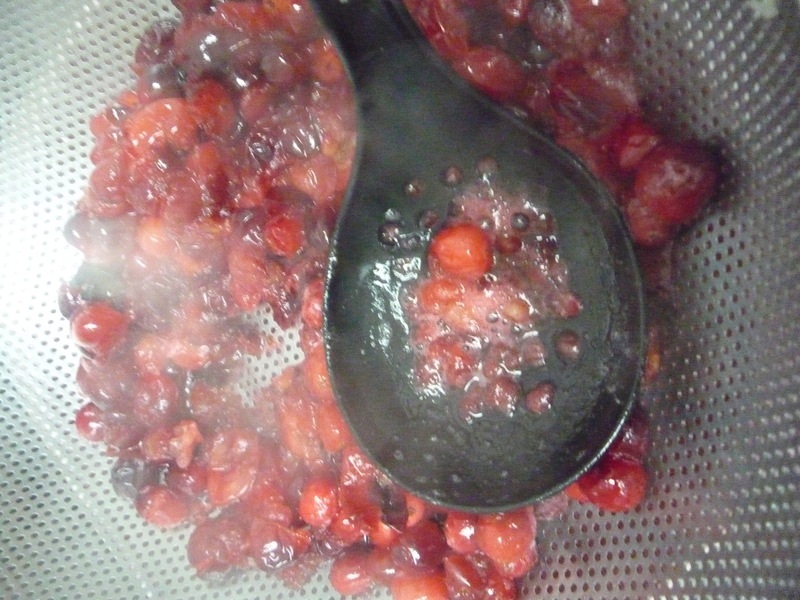 Use a metal spoon to press the remaining cranberries through the strainer. If you want, you may put more of the pulp into the liquid instead of pressing it all through the strainer. Cover the bowl and allow to cool completely at room temperature. 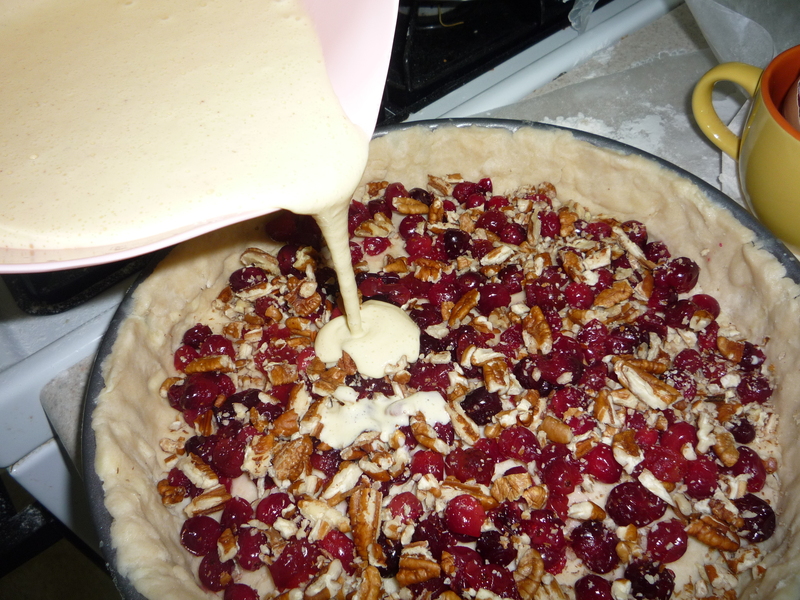 This entry was posted in Recipes and tagged cooking, cranberries, cranberry, Cranberry dessert, cranberry relish, cranberry sauce, dessert, recipes, sauce, tart, thanksgiving by reneeh. Bookmark the permalink. These all look great! I especially love the look of the tart. 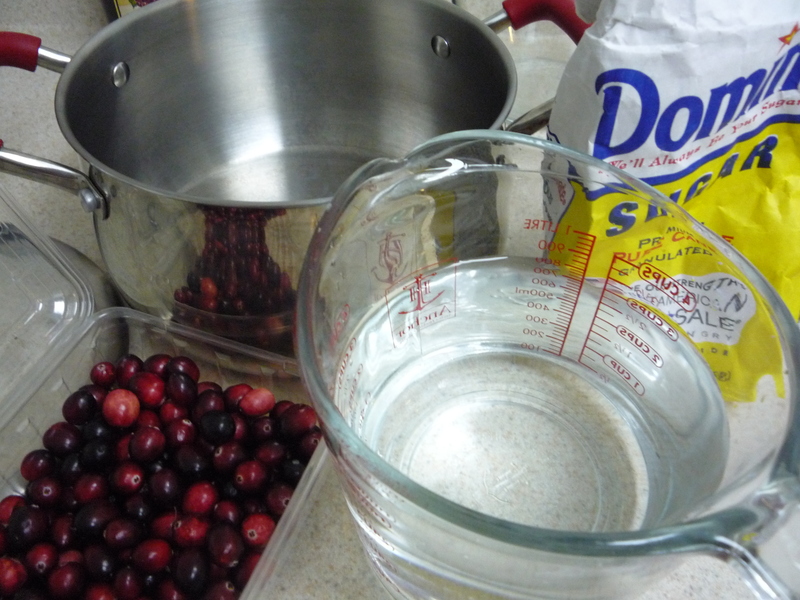 I haven’t really done much with cranberries this year, I need to start! The cranberry tart looks fantastic! Robin is always so kind to share her recipes. Happy Thanksgiving Renee! Ooooh I’ve never had cranberry tart, looks awesome! Happy thanksgiving! Yum Yum…I’m assuming you’re bringing some of these delicious dishes to moms tomorrow. 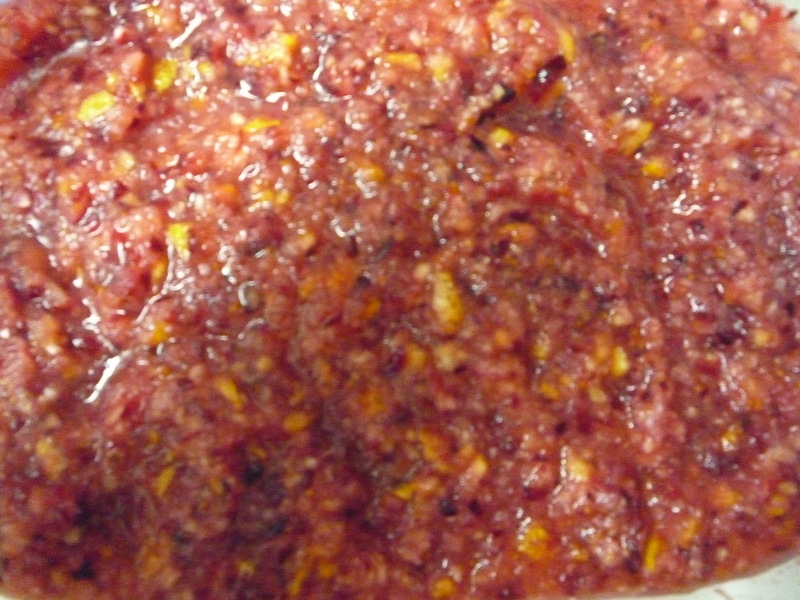 Can’t wait to try the “Cranberry Orange Relish”…my mouth is salvating now. 😉 Love Yeah! But of course! It is here now. See you tomorrow, make sure to wear your eating pants! I am watching Mama Hound make the world’s best cranberry-orange sauce as we speak 🙂 I think we should serve it year-round! Have a lovely Thanksgiving! Thanks hound! Enjoy the day and every bite!